Richard S. Busch is a Partner in the Litigation Section and is Head of the Entertainment and Intellectual Property Sections of King & Ballow. His practice areas include Litigation (State and Federal), Entertainment Litigation, Intellectual Property Litigation, and Commercial Litigation. Prior to joining the firm, Mr. Busch served as Law Clerk to the Honorable John V. Parker, Chief Judge of the United States District Court for the Middle District of Louisiana. Mr. Busch received his law degree from Loyola University Law School where he was a member of the Loyola University Law Review and the Moot Court Board, serving as Spring National Team Coach. In addition, Mr. Busch received the American Jurisprudence Award for Secured Transactions and the Fishman Award as the outstanding commercial law student. Mr. Busch has successfully represented clients in numerous trial and appellate court cases. In the action styled F.B.T. Productions, LLC v. Aftermath Records, et al., Mr. Busch represented the Plaintiff, who discovered, produced, and co-wrote some of recording artist Eminem’s biggest hits, in the landmark case, in which the United States Court of Appeals for the Ninth Circuit entered judgment in favor of F.B.T., finding that the agreements between record label Universal and digital download providers like iTunes, are licenses, and Eminem’s recording agreement entitled him and F.B.T. to 50 percent of Universal’s net receipts for sales by iTunes and others of Eminem songs. The full decision may be found at 2010 U.S. App. LEXIS 18450 (9th Cir. Sept. 3, 2010). Mr. Busch has represented many other artists in similar lawsuits and in connection with similar claims. Mr. Busch also represented Eminem’s music publisher, Eight Mile Style in a copyright infringement action against Apple, Inc. and Aftermath Records in a trial involving whether Apple obtained the necessary publishing licenses allowing it to make Eminem songs available for digital download on iTunes. The trial settled after nearly a week of testimony. Mr. Busch also represented Bridgeport Music, Inc. and Westbound Records, Inc. in a copyright infringement action against Bad Boy Records, the record label owned by Sean “Diddy” Combs, and Universal Music in a trial that resulted in a $4.4 million jury award in favor of Bridgeport Music and Westbound, including a finding of willful copyright infringement against the Defendants, all arising from the "sampling" in the Notorious B.I.G. song Ready To Die. Mr. Busch also represented Bridgeport Music in a copyright infringement trial against Universal Music involving the unlawful copying of portions of the Bridgeport Music's song Atomic Dog. The jury returned a finding of willful copyright infringement against the Defendants in that action as well. The United States Court of Appeals for the Sixth Circuit later affirmed the decision, finding that copyright infringement may occur by the copying of a single common word such as "dog," if the alleged infringer uses that word in the new composition in the same way as it was used in the original musical composition. The Sixth Circuit also found that Universal Music committed willful copyright infringement when it copied the signature phrase from Atomic Dog without permission, rejecting Universal Music's Fair Use, and De Minimis defenses. The full decision may be found at Bridgeport Music, Inc. v. UMG Recordings, Inc., 585 F.3d 267 (6th Cir. 2009). Billboard Magazine identified this decision as one of the five most important judicial decisions of 2009, and noted that it will change the way the music industry operates. Mr. Busch was also Lead Counsel in the action entitled Bridgeport Music, Inc., et al. v. Dimension Films, et. al., 2004 U.S. App. LEXIS 18810; 2004 FED App. 0297P (6th Cir. ), where he successfully argued and obtained the landmark ruling by the United States Court of Appeals that there is no de minimis defense in a copyright infringement action to sampling or copying of a sound recording. In the Fall of 2012, Mr. Busch obtained a federal court jury verdict in favor of his client, Alvert Music, for more than $2 million, together with a finding of willful copyright infringement, against the Defendant record company, in a case involving an interplay of bankruptcy and copyright issues. Mr. Busch obtained a jury award of $7.4 million in favor of the heirs of Marvin Gaye against Pharrell Williams and Robin Thicke arising out of the unlawful copying of Marvin Gaye's classic hit Got to Give It Up in the song Blurred Lines. In addition to copyright, intellectual property, and entertainment litigation, Mr. Busch has successfully represented numerous clients in Federal Court in commercial litigation cases across the country. Mr. Busch served as Lead Counsel in a bad faith insurance action against Travelers’ Insurance Company in the Northern District of California, in which the jury returned a verdict in favor of Mr. Busch's client, and against Travelers’ Insurance Company, including a punitive damage award of more than $4 million. Mr. Busch also obtained a punitive damage award in favor of his client in a malicious breach of contract action tried in Federal Court in the Northern District of Ohio. Mr. Busch also represented Tribune Company in a 600 defendant civil racketeering action in the Southern District of New York in which the defendants were accused of conspiring to file fraudulent workers' compensation claims. That case was settled prior to trial. For his work on the F.B.T. 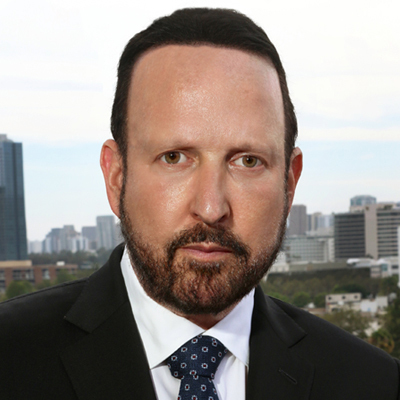 case, and other litigation successes, including the recent "Blurred Lines" case, Mr. Busch was named one of the top 100 Entertainment Power Lawyers by The Hollywood Reporter in 2012, 2013, 2014, and 2015. He was also named by Variety Magazine on their Power 50 list as one of the top 50 entertainment lawyers in the country in 2015. Mr. Busch was named by Billboard Magazine on the 2017 "Top Music Lawyers" list, and as one of the “Music's Most Powerful Attorneys” in 2015, where he was one of only four litigators named. He was also named by Billboard Magazine on their Power 100 list as one of the most influential people in the music business in 2012. Mr. Busch has also been featured on numerous occasions as one of the best 150 lawyers in Tennessee in Business Tennessee magazine. Mr. Busch was featured in The Variety Legal Impact Report 2015. The feature can be seen here. Richard Busch was quoted in Bloomberg Law about the recent 9th Circuit Court of Appeals' denial of a rehearing in the "Blurred Lines" case. Mr. Busch was quoted in The Hollywood Reporter regarding the 9th Circuit Court of Appeals' vote to deny a rehearing of the "Blurred Lines" case. Richard Busch was quoted on Law.com about his legal background, experience with copyright infringement cases, and the ‘Blurred Lines’ appeal. Mr. Busch's press conference following the "Blurred Lines" verdict can be seen here. Watch the first interview here. Watch the second interview here. Richard Busch’s interview on CNN can be seen here. Mr. Busch was interviewed by Channel 4 News in the UK. The interview can be seen here. A profile of Mr. Busch was also featured in the New York Times. That article can be found here. Richard Busch was quoted in USA Today regarding the 'Blurred Lines' case. That article can be found here. Richard Busch was quoted in The Hollywood Reporter about a dispute over attorneys' fees in Madonna's "Vogue." Mr. Busch was recently cited in The Hollywood Reporter about the new defamation lawsuit filed against the parent company of the Daily Mail. Richard Busch was cited in The Tennessean about the "Say You Won't Let Go" case. Mr. Busch was recently interviewed by the BBC in London about U.S. Copyright Law and some of the recent cases on which he has worked. Richard Busch was cited in The Hollywood Reporter about Ed Sheeran settling the lawsuit over the hit song Photograph. Mr. Busch most recently obtained a favorable decision by the United States Court of Appeals, reversing the district court, and holding that the author of the "Iron Man Theme" from Marvel's "Iron Man" television show, and movies, had submitted sufficient evidence that his creation was not a "work for hire" in order to proceed to trial on his copyright infringement claim. The full decision can be accessed here. Richard Busch was quoted in Rolling Stone Magazine on the new 'Stairway to Heaven' case. Richard Busch was quoted in The Washington Post on the new 'Ed Sheeran' case. Mr. Busch has been quoted in the New York Times on copyright related issues. Mr. Busch is frequently asked to discuss legal issues on Fox Business News. He recently appeared to discuss the class action lawsuits filed against Manny Pacquiao, and others, related to the alleged non-disclosure of a shoulder injury prior to the fight against Floyd Mayweather. Richard Busch appeared on America’s Newsroom this morning to discuss Bill Cosby’s 2005 admission to purchasing Quaaludes to drug women. Richard Busch was quoted in Buzzfeed regarding Kesha's legal battle with Dr. Luke.